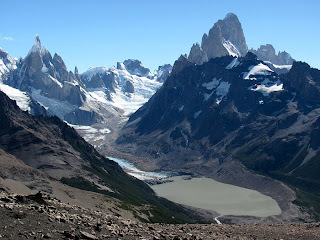 Cerro Torre (top left); Monte Fitzroy (top right) and the moraine-dammed Laguna Torre (lower right). A most perfect day! Can i get a reference for this picture. I wish to use it in my project. Thanks.